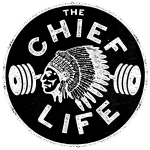 This is an interview from The Chief Life that I did in June 2016. It explains my story and how The Strong Life Project came about. I hope you like it. “Shaun O’Gorman of FocusWOD and The Strong Life Project joined us on the show. Both of these are businesses designed to help people overcome and deal with mental issues/states of mind.